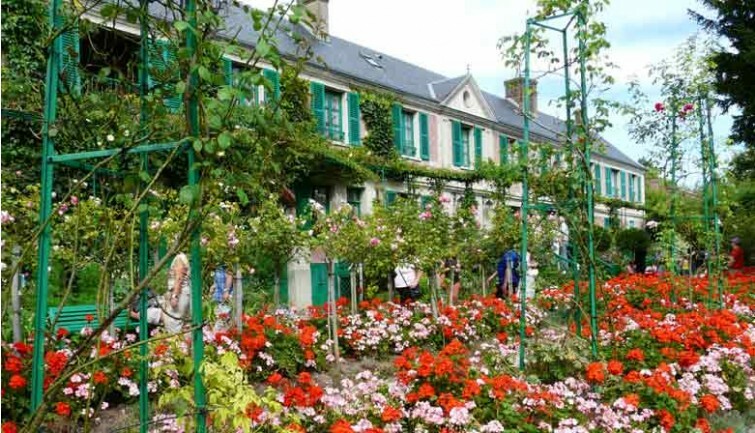 Half-day excursion from Paris to the house and beautiful gardens of the most famous Impressionist painter, Claude Monet, in the company of an official guide. Experience the world of this supremely talented artist, famed for his landscape paintings, including “The Water Lilies,” “The Japanese Bridge” and “The Irises.” Admire the fairy-tale water lily pond, with its play of light and colors, as well as Monet’s legendary Japanese bridge. Learn about the painter’s daily life by visiting his home and studio. Inspired by color variations and gardening, he designed his flower garden, fruit trees and water garden as if they were one of his paintings. During your visit, stroll along the path leading up to the house, bordered by varieties of nasturtiums and roses, and take in the multicolored flower beds and their tulips, irises, narcissi and peonies. 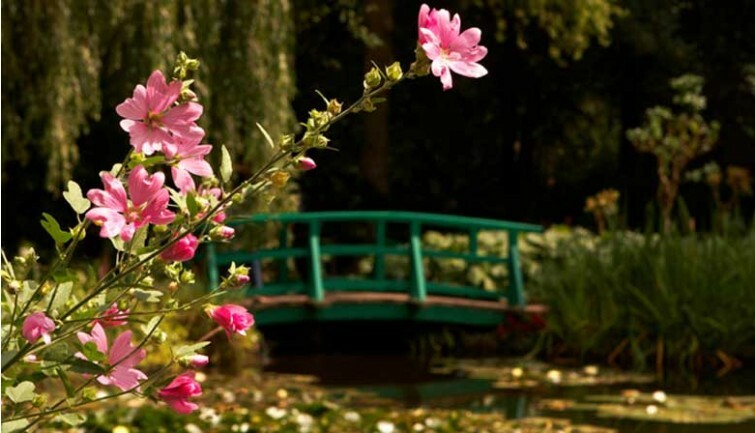 Follow your guide through the Clos Normand, a flower garden with numerous plants from the East, until you reach the exquisite water garden, famous for its water lilies, weeping willows and green-painted Japanese bridge. Be captivated by the atmosphere and the play of light over the pond, made so famous by Monet’s paintings. 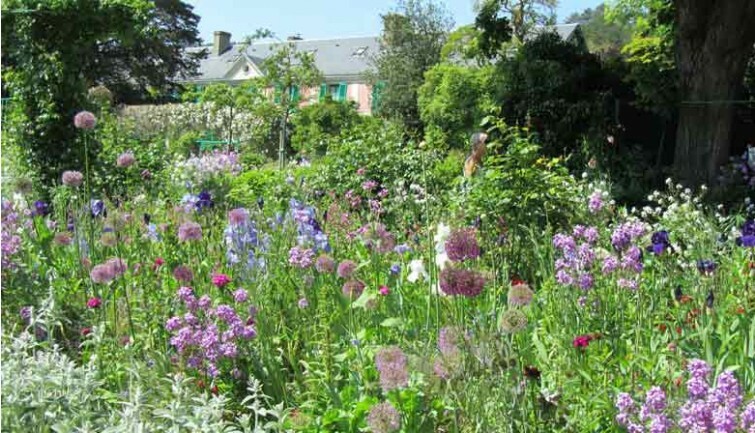 Then take your time exploring Claude Monet’s pink house, his place of work and home for many years (guided tours of the interiors are not permitted due to limited space). Discover the blue reading room, the larder and Claude Monet’s studio, reconstructed with the original furniture, and his private apartments. See the dining room, very modern in its day, with earthenware dishes and a kitchen tiled with blue and white tiles from Rouen. In the dining room, examine one of the world’s largest collections of Japanese prints. 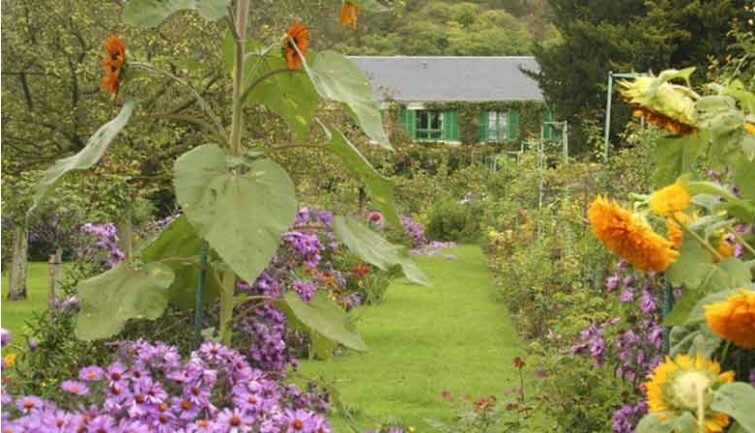 After your visit, make the most of your free time and visit Giverny’s Impressionisms Museum, dedicated to the Impressionist movement in France and abroad. 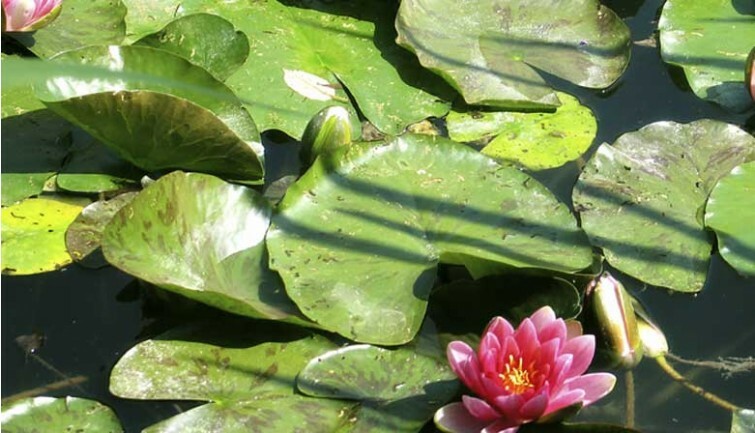 You can also enjoy the village and the charming gift and book shop, housed in what was once the Water Lilies studio. It covers more than 3,200 square feet and offers a wide range of gifts linked to the art of Claude Monet.